The front LED selfie light is built-in in Samsung Galaxy S8 case. The selfie LED illuminating lights are rechargeable. 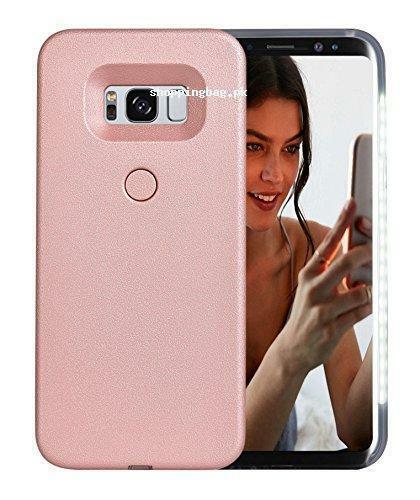 The Samsung case is rose-gold in colors, light in weight and durable in quality. It comes in perfect fit and cuts for easy accessibility of ports and buttons. Hit order now and get Amazon imported galaxy S8 case in Pakistan.